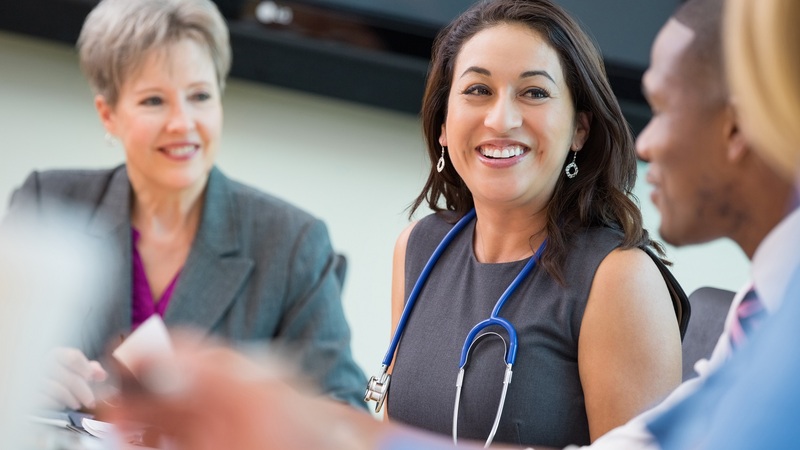 Health care professionals who are energized, optimistic and connected to the purpose and meaning of their work are more likely to be committed to providing the highest level of patient care. Yet, day-to-day challenges, coupled with ineffective leadership, can discourage even the most passionate providers. To maintain a successful health care organization with a high standard for excellence, it is essential for leaders to learn how to manage people appropriately. Speaker and author Michael Frisina is the founder and senior research scholar for the Center for Influential Leadership and the founder and president of The Frisina Group, an organizational leadership consulting and coaching firm. In this Q&A, Michael explains how health care leaders can develop a workforce culture that promotes engagement and commitment, ultimately leading to greater patient safety, care and overall experience. From your experience, what are the most common workforce challenges that are impacting the health care industry? The major challenges that I see in health care today are associated with the quantity, pace and complexity of the workload. Health care professionals are trying to do a lot of work as quickly as possible, but the brain isn’t designed for multitasking. When people try to do more than one thing at a time, mistakes are inevitable, and the quality of care, safety of care and the overall patient experience suffer. We are building more complexity into the delivery of care. We are getting to the point in health care where we might be exceeding our human capacity to keep pace with the complexity and chaos that we have created. Since it is unlikely that the health care industry will slow down or get less complex, what can organizations do to overcome this and maintain a high quality of care? Health care performance is manifested by technical skill, intellect and talent. These three things all feed into the processes for implementing the organization’s strategies. The other coefficient, which the industry generally doesn’t spend as much time on, is behavior capacity. To meet the demands of the modern work environment, health care professionals need to take an integrated and systematic science-based approach to developing their brains to be more attuned to managing chaos, stress and change. Everything changes when the way you think changes. How would you define the concept of a transformational leader, and what steps can health care leaders take to be more transformational? Transformational leaders know themselves well. They are self-aware, and they take responsibility for the results of their organization. They recognize that their fundamental responsibility is to build a high-performance culture in which people feel emotionally safe in the workplace. When people feel safe and don’t have the need to self-protect, they can fully focus on engaging in their work and furthering the goals of the organization. In turn, patients benefit from these transformational moments. Lack of engagement and burnout are significant problems in the health care industry. How can leaders in health care organizations encourage engagement and decrease burnout? In health care, there are rigid, science-based approaches to the delivery of care. We need to develop that same type of unified architecture for performance management, including the development of leaders. This architecture needs to be created and sustained for an organization to have an impact on the leading causes of burnout: fatigue, cynicism and a lack of meaning in work. Leaders who create an atmosphere of commitment and engagement know how to make people want to work for them. This is done by not overworking people (unless the increased workload comes with a promotion, pay raise or some other status increase); recognizing contributions and rewarding good work; expressing empathy and compassion for people; honoring commitments; and being diligent about hiring and promoting good people. People also respond well when leaders play to their strengths, engage their creativity and challenge them intellectually. Why are emotional connections between leadership and employees so important in the health care field? People connect to their leaders emotionally before they connect and engage in their work. When you lead in ways that people’s brains can follow, good results follow too. The individual behavior of any leader is the singular most important predictor of an organization’s performance. The leader’s behavior is a signal to people of whether they are in an environment that is safe or threatening. The feeling of being threatened trumps rewards or any other kind of positive incentive. People respond to the behavior to which they are exposed. I encourage health care executives to not only have their values posted on boardroom walls and plaques, but to also operationalize them into day-to-day behaviors. There must be accountability every day, the same way there is to execute technical standards of care practice, when it comes to modeling the organization’s behavioral values. How does creating and maintaining a committed workforce ultimately improve clinical workflows and the overall experience of consuming and providing health care? When people are invested and enthusiastic about their work, they will perform at the optimal level. Commitment is an emotional choice. A person must decide to give them time, talent and intellect to the organization. This choice is predicated on a behavior dynamic that sets people up to want to commit. Leaders need to understand that behavior and technical competency are of equal importance. Engagement and commitment are functions of a healthy, emotionally safe and performance-driven culture that is dedicated to standards of excellence. 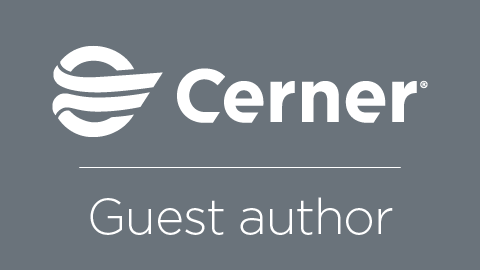 At Cerner, we're continuously building on our foundation of intelligent solutions for the health care industry. Together with our clients, we are creating a future where the health care system works to improve the well-being of individuals and communities. Learn more here.